Tokens. A blog by Artist David Wills. : Spin. Tinariwen. 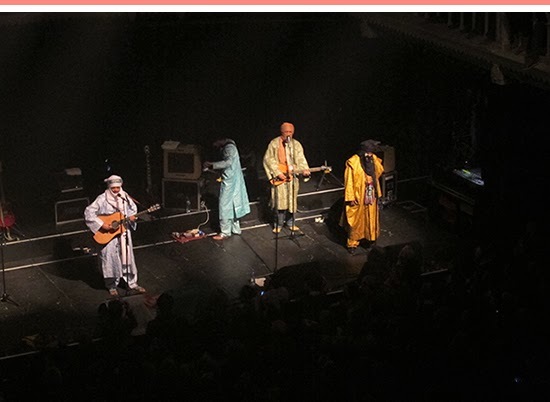 They may have started off a little slow, but the pace picked up as Tinariwen got into their groove at Amsterdam's Paradiso the other night. Hailing from land-locked Mali in North West Africa, Tinawiren's music is dirgey guitar-based rock with a worldly feel. Read their background story, it's intriguing, and the concert was terrific.